25 Nov Post by Salon Buzz Filed under Icons & Inspirations, The Gorgeous Lifestyle, Uncategorized. Tagged Bridal Hair, Bridal hair chicago, chicago hair. Almost everyone has a secret Pinterest board with their wedding inspiration. This can be very helpful during your consultation with one of our Salon Buzz stylists. Its so important to work with someone who knows your hair type, texture and weight because they know how your hair works and what it needs to stay put from the ceremony to two a.m. dancing! Are you getting married in the summer? Then an updo will help keep you cool. Are you getting married on the beach? Then you should opt for a more secure hairstyle to combat the windy Chicago lakeshore. If your dress has an ornate high neckline you don’t want to cover it up with long ringlets. Your hair should compliment your dress! Also keep in mind your accessories – especially if you plan on wearing a veil. While we are always on top of the latest styles and fashions at Salon Buzz, we know that trends come and go. Rainbow hair might be the latest Instagram sensation but your wedding day hair will be preserved for generations in photo albums and Facebook feeds! Not only should you stay away from hair trends on your wedding day, you should also stay away from new things. If you’ve never worn your hair in a dramatic side part before, steer clear! You want to feel and look yourself on this special day and being distracted by that dramatic part is the last thing you should worry about. Our experienced stylists at Salon Buzz book up quickly! 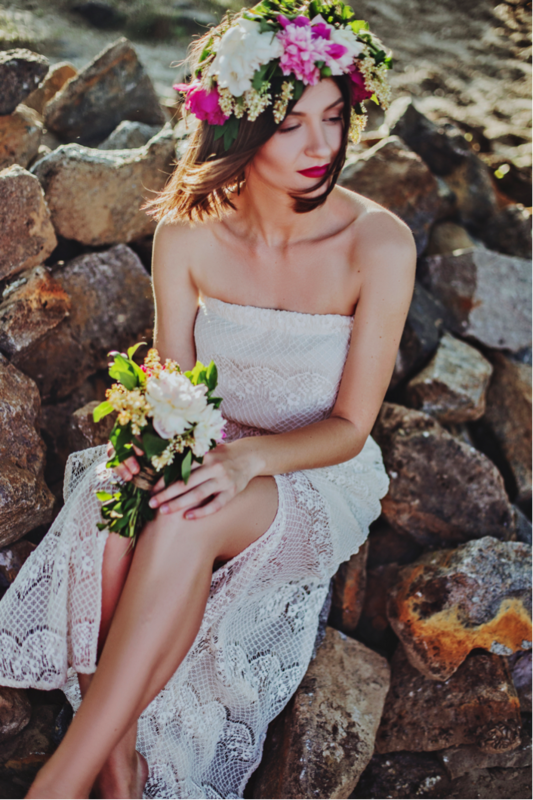 You don’t want your favorite stylist to be unavailable on your big day! We suggest booking a trial and wedding day appointment at least six months beforehand. This will give you piece of mind and tons of time to prepare and perfect your look! Trials ensure that you get exactly what you want on your wedding day. They also enable stylists to customize the chosen style to your unique hair type. 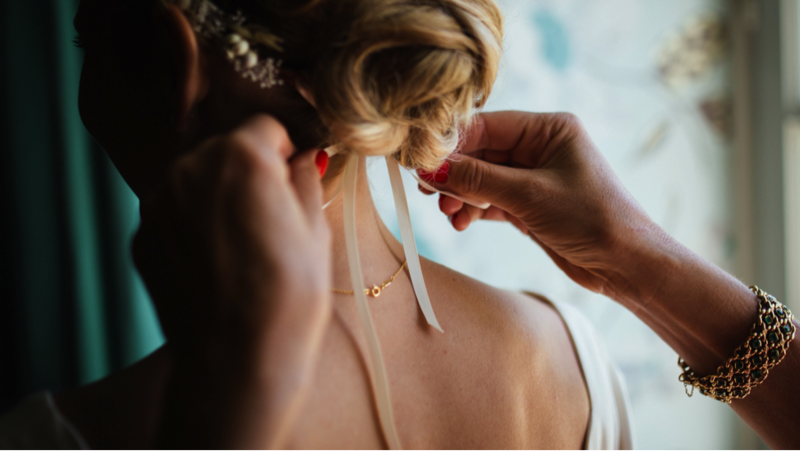 At the end of the day, hair trials make sure everything goes smoothly on your wedding day. We’re here to help! At the end of the day, this is your day and people are here to see you marry the love of your life. There’s no need to stress about the details. Call today at 312.943.5454 to book your favorite Salon Buzz stylist for your Chicago wedding hairstyle!